Reading plays an important part in our life. One of Emily's favourite things to do is to curl up and read a book books with me. If she had it her way, I'm sure she wouldn't even stop to eat. The little bookworm...she even sleeps with her books over her teddy bear most nights! I'm always happy to indulge her appetite for learning by reading as much as we can, whenever we can. I was very excited to receive a package from Fitzhenry & Whiteside with some new additions to our growing library. Inside were two new books! Summary: "Half for you and half for me / Between us two shall goodwill be." Here is a nursery rhyme book to entertain both adult and child as they read together. The classic rhymes are side by side with annotations about their backstories: Who was Wee Willie Winkie? Did live blackbirds really fly out of a pie? Was Humpty Dumpty a person—or a clumsy cannon? When she was small, Katherine Govier tucked in close to her mother's side to listen to nursery rhymes. Later she read them to her own children, and now she has returned to reading them with her mother, who can no longer see well enough to read the pages of their nearly hundred-year-old Mother Goose book. Still, her mother can recite the words. What is the magic and what is the meaning of these rhymes that stay in our heads for a lifetime? The answers are here. Some rhymes describe historical events and some are just plain nonsense. Some of the oldest rhymes were never intended for the nursery, but for the street—where they came to life as popular judgments on events of the day. In Half for You and Half for Me, the author breaks the codes of these nursery rhymes in accessible, amusing explanations. She also adds some classic Canadiana, including a poem by star children's poet Dennis Lee. Commissioned illustrations make this book full of colour to draw in the eye. Charming vintage drawings also pepper the text, firmly rooting the rhymes in their historical context. 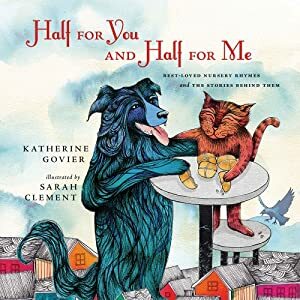 Half for You and Half for Me will engage, delight, entertain and inform younger and older readers alike, and aims to be that favourite title that is pulled off the family shelf again and again. There is something to be said about a book that can successfully cater to the enjoyment of both adult and child. This was my first experience reading any of Katherine's work, even though she has written so many novels previously. She did an excellent job diving deep into the history behind an amazing number of nursery rhymes; most we knew, some we didn't. Either way, I loved learning how these rhymes came to be. At one point in your life, didn't you ever wonder why that lamb really followed Mary to school? I did, and I couldn't believe some of the stories behind this one, and the other classic rhymes I remember hearing while growing up! Some were definitely not meant to be sung to children, but I found it amusing how they got passed on. Emily loved hearing the flow of the classics, but seemed to want to turn the page to get to the next verses before I had a chance to take in the entirety of the historical parts. I didn't mind too much though, it just gave me a better excuse to pick this book up after she was sleeping, or when she was off doing something else. We sat for a long time because there were so many to choose from, all separated into themes like Outdoors, and To School. Emily seemed to favour the Curious Characters section the most. The illustrations were unique and as exaggerated as some of the characters were! We definitely had some laughs. This is one of those books that I will be putting away up high to keep it safe from sticky fingers in between reading. Summary: Dianna Bonder’s whimsical alphabet picture books have been capturing the hearts and minds of our earliest readers for over 10 years. Now, in this all-new picture book, Dianna illustrates the ocean, capturing the spirit and beauty of sea creatures throughout the world. A, B, Sea moves and grooves as it brings a whole underwater orchestra to life—blowfish blowing bassoons, flounder fish with flutes, a percussionist pike that pounds through the night . . . it’s a medley of colour, sound and rhythm. With detailed jam-packed illustrations of dozens of ocean creatures and a myriad of musical instruments, accompanied by alphabet verse that is both educational and entertaining, A, B, Sea is sure to engage children who are learning to read as well as the older folk who read to them. This is an alphabet book that children will want to open while mastering their abcs and to keep in their collection long after they’ve made reading a way of life. A musical underwater journey from A to Z, we thought this book was adorably imaginative, and introduced us to many creatures and instruments that Emily hadn't really heard of. She now walks around pretending to play her flute or her trumpet quite often. I appreciate stories that help teach the ABC's and counting. Emily is at that curious age and this one stood out because it combined her early love for music and reading. It made for the perfect read for the past couple of rainy days. I found it refreshing that this wasn't the typical 'A is for Apples' kind of book. There was actually a story with pictures that played to Emily's inquisitive nature. "What's that? What's that?" There was always something for her to discover on each page. Even though this book is intended for children ages 4+, I think Em is proof that kids of all ages will enjoy this one too! Follow along on Facebook and Twitter to stay up to date with upcoming titles, and promotions. 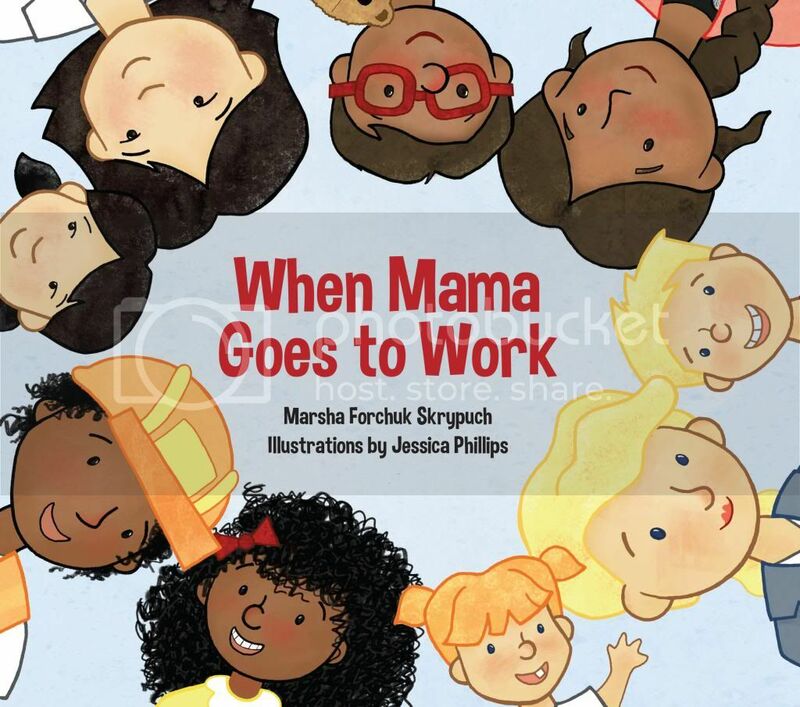 When Mama Goes to Work introduces you to several moms and their families, walking you through what a day is like for each one of them. 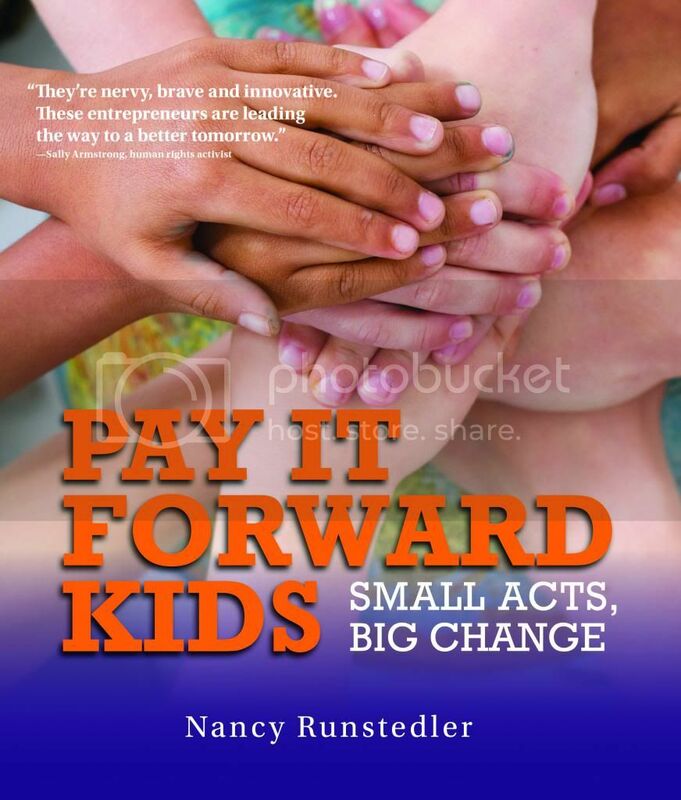 Pay It Forward Kids is a group of stories about 14 kids, every one of them taking it upon themselves to have made a difference and touched people's lives. Who have these young individuals helped? So many, including the homeless, child slaves, the sick, not to mention everyone that they've inspired to follow in their footsteps! 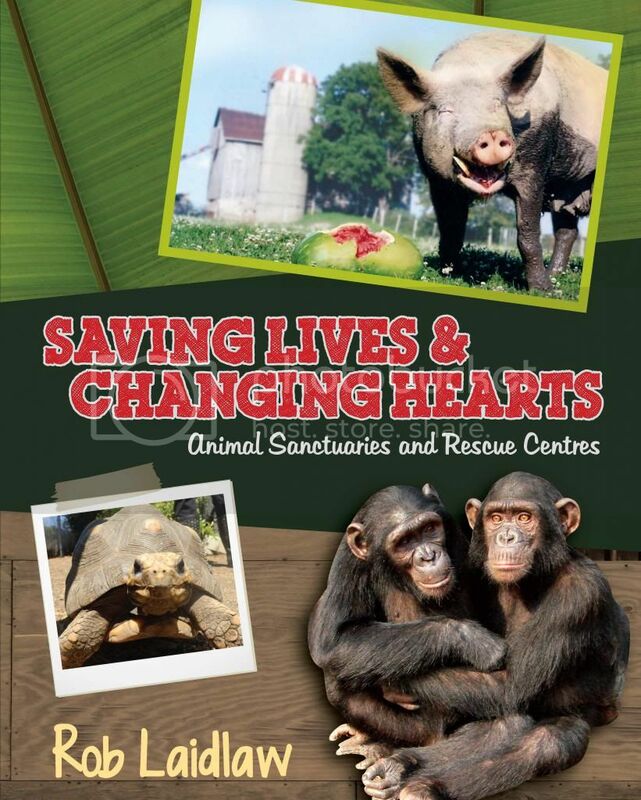 Saving Lives & Changing Hearts takes you through Animal Sanctuaries and Rescue Centers, highlighting some "funny, heart-wrenching and remarkable" stories. Rules: See Rafflecopter for full terms and conditions. By entering you agree to these terms. A winner will be chosen at random, and will be contacted by email. You will have 48 hours to respond to the notification email before another winner will be selected at random. The winner will be announced in the Rafflecopter form once they have confirmed/responded to my email. Be sure to check out these other fantastic giveaways to enter! Would you like to see your products featured in a review/giveaway similar to this one? I would love to work with you! Please feel free to email me: oddball2003@hotmail.com . I received sample products in order to conduct my review. As always, opinions are 100% honest and my own. Other books I would love are Mountain of Friends and a Bumblebee sweater. Both these books look like they would really keep a child interest while reading them. I think my grandson would like A Mountain of Friends. Reading to him is one of my favorite pasttimes. "A Mountain of Friends" looks really cute. Plus it was on Resource Links’ Best of 2013 list! My son would love to read "Flying Dinosaurs." It's all about dinosaurs when you're 2. The kids would like A Company of Fools. All of our grandchildren love to read. A BUMBLE BEE SWEATER and A MOUNTAIN OF FOOLS look like cute books. Katherine Govier - it looks like so much fun to share. Another one, that interests me is Bye, Bye, Butterrflies by Andrew Larsen. This title has special meaning to my daughter and myself. I think my son would really like "A Royal Little Pest". "The Best Gifts" and "Bibi and the Bull" look cute, too! A Mountain of Friends by Kerstin Schoene or A Royal Little Pest by Anita Reynolds MacArthur would be my choice! Thanks for the giveaway and greetings from Finland. My grandchildren would enjoy The Baabaasheep Quartet. The book A Fine Daughter sounds like a great book for my girls to be read to. And the book A mountain of friends sounds great too. I chose Black Heritage and The Great Klondike Gold Rush for my grandchildren. Their school is like the United Nations and the more knowledge they have about other children, I believe, leads to acceptance of others. My young teenage grandson is lacking in interest in reading at the moment but I think a book about the gold rush will appeal to him. I also like a Bumblebee Sweater. I think my daughter would love this. Thanks for hosting! I'd like to read A Royal Little Pest. It sounds like fun. My grandson is an avid reader. I think that he'd enjoy a Bumblebee Sweater. Looks interesting. They have some great books! I like two books in the What's That Sound series. I like these two titles - In the CIty and At the Circus. I have a niece who likes to read book he is such a smart kid thats why i like this books for him.It will help him to learn more things and develop his ability to read. I think "When You Get a Baby" would be a good one to have. I'm not currently pregnant, but it sounds like a good book to have on hand when/if I do have a 2nd baby. I would like Courage to Fly, I think it would be good for any child in a transition. A Bloom of Friendship: The Story of the Canadian Tulip Festival & a mountain of friends i think my niece will enjoy reading this book. Also im excited to have one of this. I like a Bumblebee Sweater. I think my son would love this book. Thanks for the giveaway! Bailey Dexter Another book that would be great is A Mountain of Friends, sound perfect! A Pod of Orcas seems like an interesting book. My granddaughter likes animals and I would like to introduce her to this manificent animal without doing it at some horrible place where these beautiful creatures are tortured for an audience. 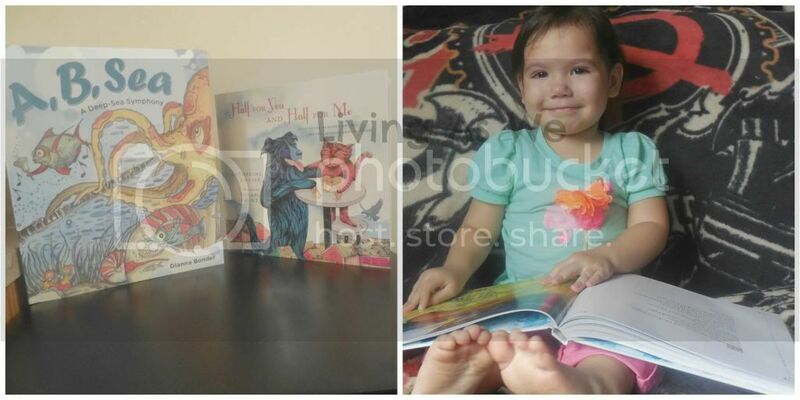 Adventures of baby bear and Alice and the birthday giant look like really good books included with the ones being given away! I would like to read A bumblebee sweater, that looks like a good book. I would also like to read A different kind of beauty.